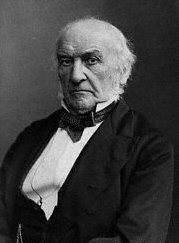 Of all the events of this year, at home or abroad, one of the most striking is the publication of Mr. Gladstone’s pamphlet on the State Prosecutions of Naples (“Two Letters to the Earl of Aberdeen on the State Prosecutions of the Neapolitan Government." By the Right Hon. W. E. Gladstone, M. P. for the University of Oxford. Second edition.” Published by Mr. Murray.) If the mere announcement has caused such a demand as to call forth a second edition almost before the first was published, the perusal of it will excite a still greater sensation in this country, and, though for different reasons, on the continent. In this country it will create sentiments of surprise and horror. Although the general character of the statements is not new, they come before the world with an aspect wholly novel. From this pamphlet the cautious Englishman will learn with amazement that the charges of the Italian Patriots against the government of Naples are not only true, but even fall short of the reality; that the case stated with every conceivable precaution, not by a Pepe or a Mazzini, but by a Gladstone —a leader of our own Conservative party, a man only too scrupulous and fastidiously exact— is stronger than they ever conceived it to be. The effect of all this is, total inversion of all the moral and social ideas. Law, instead of being respected, is odious. Force, and not affection, is the foundation of government. There is no association, but a violent antagonism, between the idea of freedom and that of order. The governing power, which teaches of itself that it is the image of God upon earth, is clothed in the view of the overwhelming majority of the thinking public with all the vices for its attributes. But even that is justified —not by the precedents of the king’s two immediate predecessors, though they are strictly applicable— but by a deliberate attempt to corrupt the Neapolitan mind. A book has been published and forced into general use, entitled “Catechismo Filosofico, per Uso delle Scuole Inferiori;" the authorship of which is ascribed to an ecclesiastic at the head of the Commission of Public Instruction. It is a catechism for young scholars, in the form of a dialogue between master and scholar; and is avowedly intended to counteract the false philosophy of the liberals, who are described as vicious and bad men. It teaches that the royal power is unlimited, because it is of divine origin; that "the people cannot of itself establish fundamental laws in a sate," because such laws "are of necessity a limitation of the sovereignty," which would then be longer "the highest paramount power ordained of God for the well–being of society;" and that a sovereign is bound to keep a constitution which he had "promised or sworn to maintain"—only provided it is not opposed to the general interests of the state."